Hanoi (VNA) – A business exchange and an exhibition of made-in-Vietnam goods was held in Maputo, Mozambique on June 23-24, aiming to promote economic and trade links between the two countries. 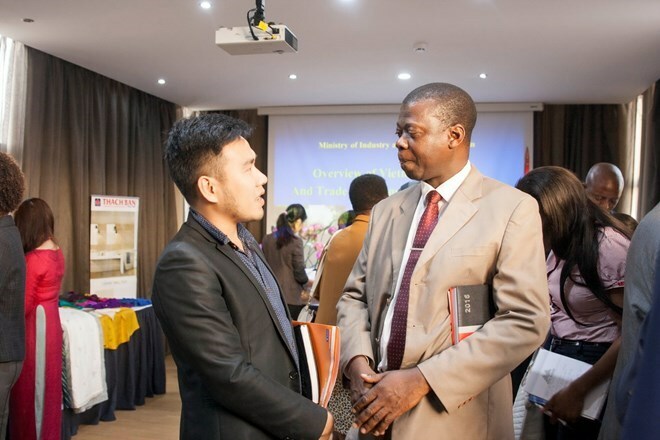 Jointly held by the Vietnamese Embassy in Mozambique, Vietnam’s trade representative office in South Africa and Mozambique, and Hanoi’s Department of Industry and Trade, the events offered a chance for the two sides’ firms to seek and establish partnerships. Addressing the business talks, Envoy of the embassy Vu Thanh Nam stressed that economic, trade and investment ties are among the top cooperation priorities between the two countries as agreed by their leaders on the occasion of then President Truong Tan Sang’s State visit to Mozambique last March. He highlighted the significance of the arrangement of the events, saying that he hopes these will open opportunities for Vietnam’s commodities to enter the African country.